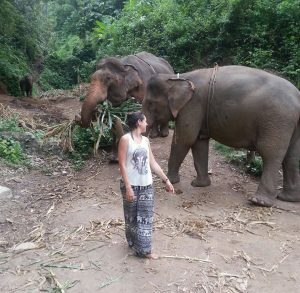 It was in Chiang Mai that I bathed an elephant for the first time, almost drowned in the river, felt like a powerful woman and decided to create this blog. 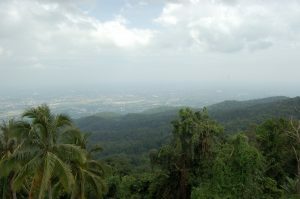 Located in the mountainous northern region, Chiang Mai was founded in 1296 as the capital of the independent Lanna Kingdom. For centuries it was a cultural and religious center, and to this day the city hosts hundreds of dazzling Buddhist temples. 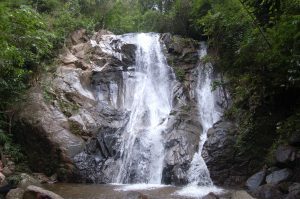 I spent 5 days in Chiang Mai: 2 with a CouchSurfing host, 1 in the jungle and 2 in a hostel. My Couchsurfing host was a Parisian guy, who opted to switch from the hustle and bustle of Paris to a simple and tranquil life in Thailand. He worked with IT and had 1 client in Paris, who somehow gave him enough funds to live well in Chiang Mai, with the one condition that he goes to France 4 times a year (how tedious!). He talked his head off. I just needed to give him a subject and he’d ramble about it for half an hour. But we had some really interesting discussions, about the most diverse topics: politics, philosophy, culture, UFOs, gender, marijuana and ayahuasca. He was open-minded, politicized and cultured. He lived a bit far from the center, but that isn’t usually a problem for me, because I love to see how people truly live in such touristic places. 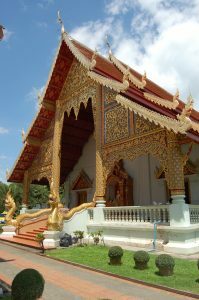 On the following day I went to the city center to visit the temples, including Wat Phra Singh, the most revered temple in Chiang Mai. 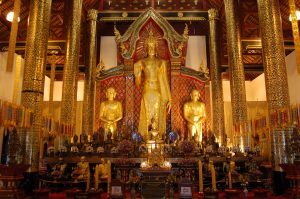 In my opinion, the temples here can’t be compared to the magnificent ones in Bangkok, but they are still worth a visit. After so much temple visiting, I decided to go for my first-ever Thai Massage experience. It was interesting, but in my modest opinion a bit too vigorous, almost brutal, and not at all relaxing. I also went to an agency to book a 2-day tour to the jungle. In Chiang Mai there are agencies everywhere, so it’s easy to get a few pamphlets and compare the offers. There are tours for all tastes and budgets. 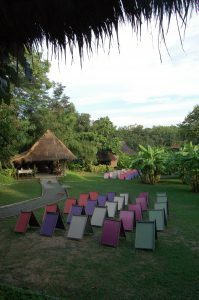 I opted to do a 2-day-and-1-night tour to the jungle + extras and thought it was a great deal. 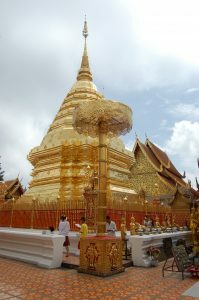 On the next day I went to Wat Phra That Doi Suthep, a temple on top of a mountain that overlooks the whole city of Chiang Mai. 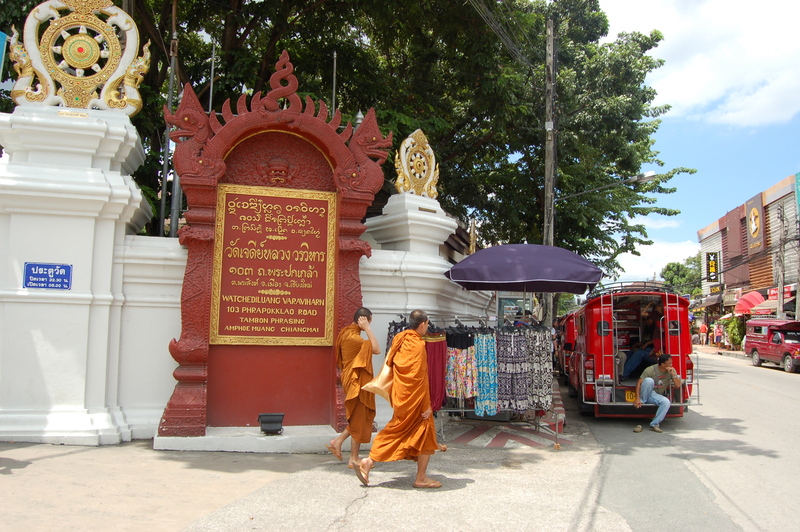 Established in 1383, it is considered one of northern Thailand’s most sacred temples. The temple was really fascinating, but I went on a really cloudy day, so couldn’t see much of the city from up there. On the way back, I met 2 German girls, who were studying in Phuket, with whom I spent the entire afternoon. We had lunch together and I had an authentic and cheap pad thai from a food stall in the central market, which was one of the most delicious things I’ve ever eaten. The German friends took me for a walk around the city and to some beautiful alleys outside of the city walls. We decided to go together get a Thai Massage. I thought, why not give it a second try? This time the masseuse used oil, but it wasn’t any better for me. Maybe I’m not the greatest fan of Thai massage in the end. After an amazing afternoon together, we said goodbye and I went back home. My CouchSurfing host had to travel to Paris, so I had to move into a hostel in town. People say you can see the whole city of Chiang Mai from Doi Suthep, but because it was really cloudy and foggy, I couldn’t see much of the city. Still, amazing nature around! In my room at the hostel I met two other German girls and realized that German is probably Thailand’s second language. There are so many Germans in Thailand! At night I was tired and decided to stay in and relax. So I just went to the closest supermarket and got myself a cold beer. I felt awesome sipping my beer alone, happy, enjoying amazing days in Thailand by myself (if only I knew those were to be my last days alone!). I remember on that night I felt really empowered and happy by myself. The mere fact of buying a beer in a foreign country and drinking it alone turned into a special moment of recognition of my power and strength! On the following day I departed on an adventure of 2 days and 1 night to the jungle! Our guide, a short, toothless man, came to pick me up at my hostel at 9:30. His name was Chat and he was the sweetest man I’ve ever known. He came on a precarious tuk-tuk and this turned out to be our transport for the whole trip. In my opinion, much nicer and more authentic than any A/C van! My tour mates were Ed and Pip from Australia, Sergio from Spain, Pancho, Kat and Thomas from England, Sandra, Ly and Patrick from France, Priscilla from Switzerland and Coen from the Netherlands. A really nice, lovely and diverse group! 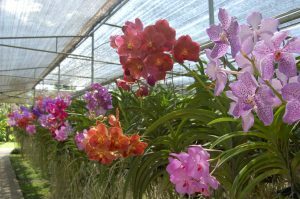 Our first stop was a butterfly and orchid garden. It was very pretty, but I just couldn’t wait to see the elephants! We then had lunch and departed on a 3-hour trekking through the jungle. I was amazed with how much it looks like Brazil! Same trees, same landscape, same microclimate… same same but different! Conversely, for most of the my European tour mates, it was the very first time that they saw a “real jungle” and they were fascinated. Elephants, a dream coming true! We finally arrived at the Elephant Camping! They told us the elephants had been rescued and now lived in nice and fair conditions. A local family look after them and only allowed them to “work” for up to 2 hours per day. They didn’t use chairs or saddles to ride the elephants, just a mat over their backs, as this was more “ethic”. I can’t describe how special this day was for me. 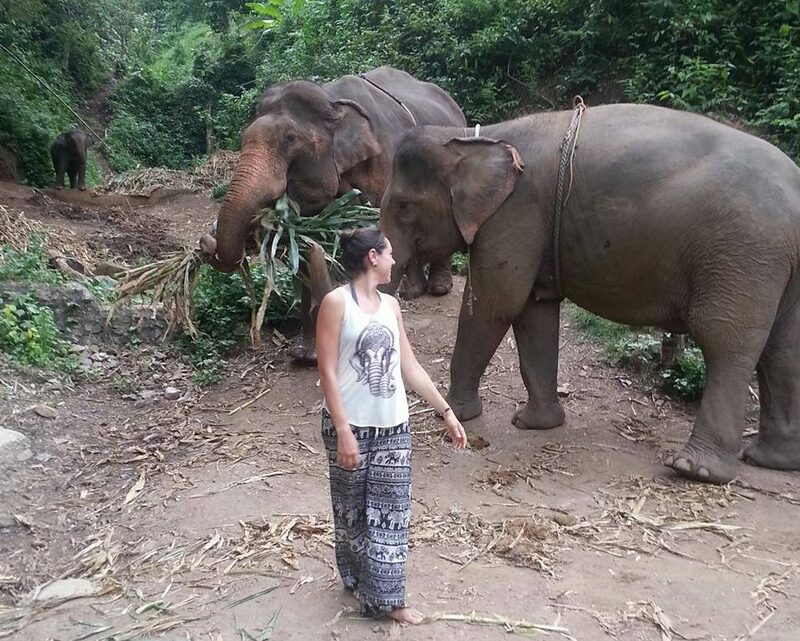 Being so close to the elephants was just magic! I must admit: I rode an elephant, because I was convinced it was fine. Afterwards, I talked to some people who said that even in those conditions the elephants are still explored, that they’re not supposed to work for human entertainment, that they get stressed and that carrying humans injure their necks. If all this is true, I truly apologize! I did it because I thought it was fine but all the way I questioned myself whether it really was. I always loved elephants and saw them as mythical, wise, mysterious and beautiful creatures. And I was always fond of Lord Ganesh, the Hindu God with an elephant head (as you can see on my shirt). The elephant I rode was called Mumba and she was gorgeous! We went up and down a hill and into the jungle for around 30 minutes. Then we stopped and let them eat, before taking them for a bath. They took the elephants to a little lake, where we could give them a bath. They apparently love it and I simply can’t describe how I adored it! We enter into the lake and throw water at them with a little bucket and rub their backs with a big brush. They have a blast and spout water up with their trunks. Unforgettable! We took a shower, prepared dinner and spent the night talking and singing. Chat, our guide, was the superstar of the night. He hadn’t gone to school and had learned all his English from tourists. Despite that, not only could he speak well, but also truly entertain us with his stories and songs. Thomas had taken a guitar, which was perfectly convenient for the occasion: 12 strangers reunited for a couple of days in the jungle in Thailand. Late that night we went to sleep in a little hut with thin mattresses on the floor side by side. I went on a boat with Priscilla, Pancho and Kat. Pancho and Kat had just gotten married and were doing a honeymoon trip around the world (doesn’t it sound like a great idea?) Obviously, our boat was the only one to capsize in the rapids! It was a bit scary because we had to swim with the flow for quite a while before being rescued back onboard, but it gave more gas to our adventure. We then got off the boat and went on a bamboo raft. All of us on one bamboo raft! Clumsy, wet, mesmerized tourists! Nothing better than that to unite a group of strangers! We had lunch at a local bar and then headed to a waterfall. 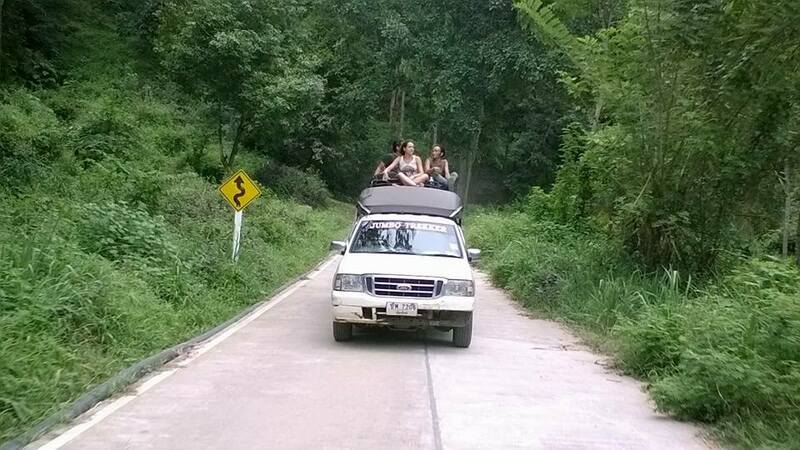 I decided to go on top of the car with the guides (safety measures, what for?) and it was one of the most liberating and adventurous feelings I’ve ever had!! To reach the waterfall we had to walk quite a bit through the rainforest, but it was worth it, because the waterfall was amazing for both looking and swimming! 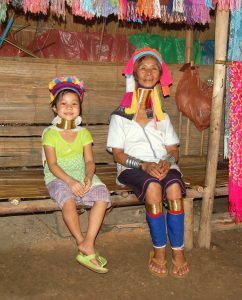 After the waterfall, we went to visit the Long Neck Tribe. You’ve probably seen it somewhere, that tribe of women who wear golden rings to lengthen their necks. We visited their community and walked through a market where they sell handicrafts. 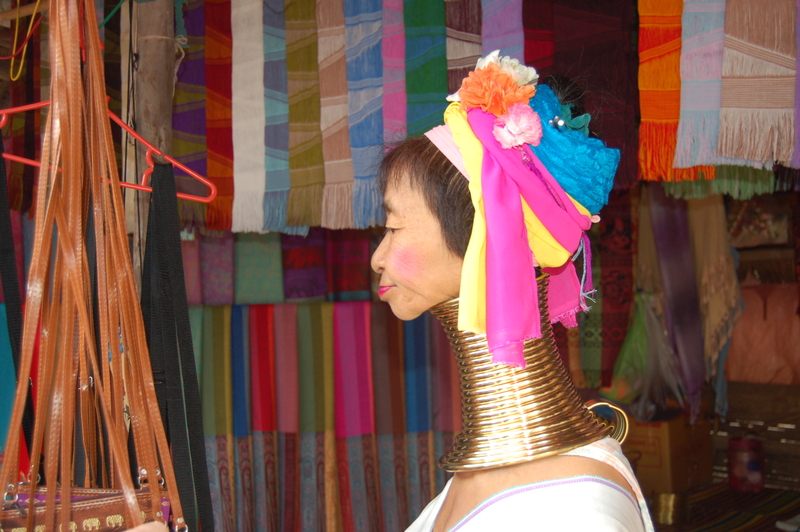 Some of the women were absolutely unbelievable, with half-meter-long necks! No one really knew the origin of that tradition. Some believed it was to make them more attractive; others said it was supposed to make them less attractive, so that men from other tribes wouldn’t mess around with them. In all cases, they look spine-chilling (bad pun alert). Paper made out of what? 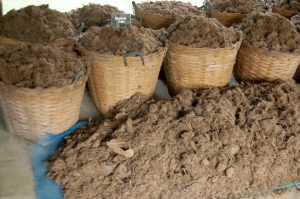 Elephant poop – rich in fibers, great for making paper! 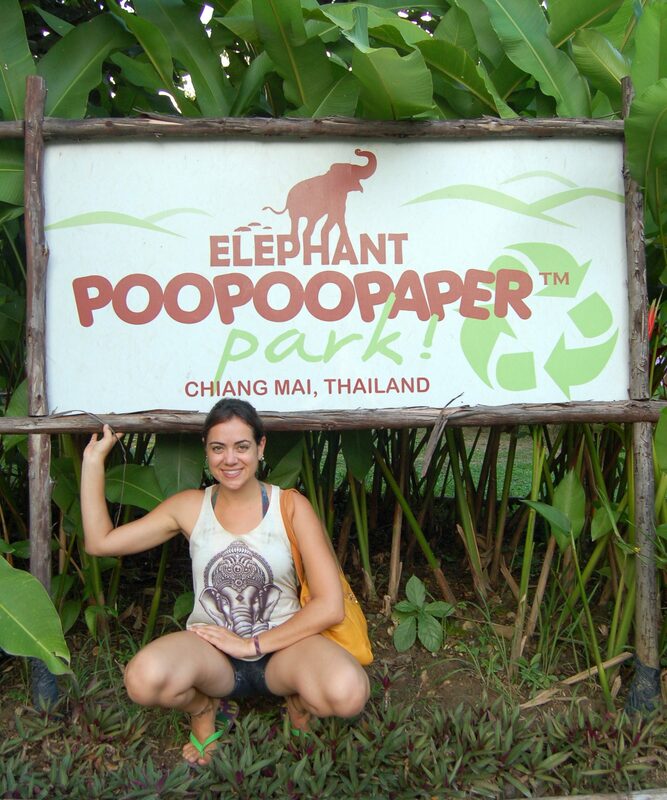 In the last part of our tour we went to visit PooPooPaper, a factory that produces paper from elephant poop fiber! Such a clever and sustainable idea! We went on a tour to follow through the whole manufacture process and in the end each of us got a customizable elephant-poop-fiber-notebook! Great! Didn’t have to look for a new journal to write my adventures! We came back to Chiang Mai in the afternoon. It was hard saying goodbye to the group, even though we had only been together for a couple of days. So we decided to go out for dinner at night at the food market. We visited the Night Bazaar, had the spiciest green papaya salad ever and had a few beers. In the end we headed to my hostel and played “never have I ever” until late at night. How absurd, this game at this age! I went to bed feeling very happy and grateful for the nice friends I had met and great adventures I had lived in and around this dazzling city! Next stop: Koh Samui – the hopeless island where I found love.